Please join us on Saturday, December 8, 2017 from 1 – 3 p.m.
We will meet at the end of Northrop Street where there is a path into the park. The area where we will be working has oak, hickory, maple, black gum, fringe trees, wintergreen, cranfly orchids, and other native species. The diversity of species in just this small area speaks to the value of this park. Striped wintergreen will soon be overcome by English ivy. We intend to tackle the English ivy growing up trees this coming Sunday. 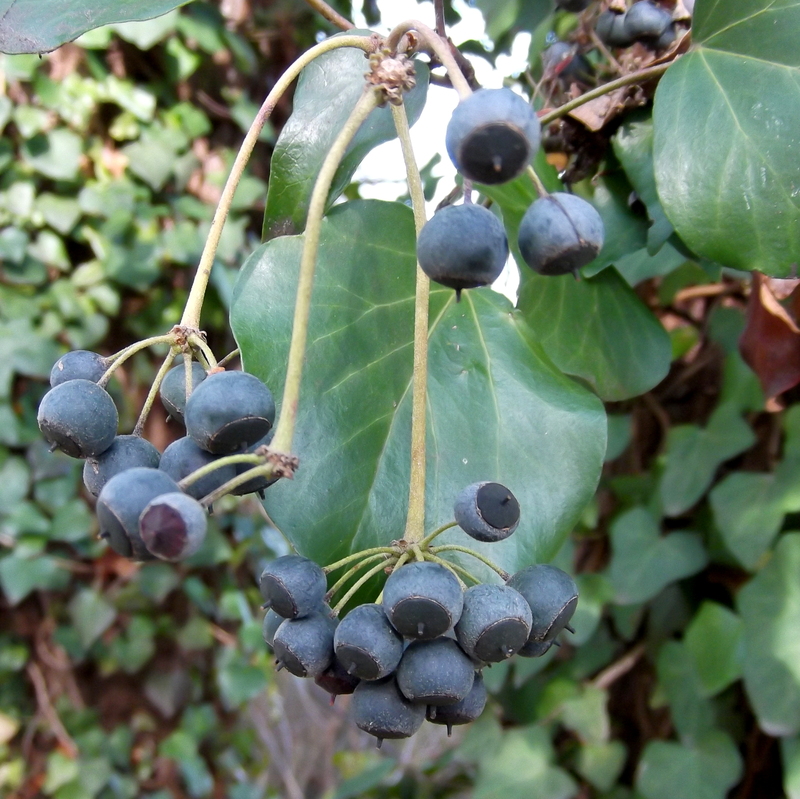 This effort will have positive effects beyond this small park since English ivy only produces flowers, fruit and then berries only after it climbs a vertical surface. The vines above the cut will die and there will be no berries for the birds to eat and then spead the see to other locations. It’s also a relief for the tree! We will meet on Crutchfield Street across the road from the sports fields of George Wythe High School. This important work and we would really appreciate your help. Sunday, November 4 from 1 – 3 p.m. or as long as you can stay. An old screwdriver is sometimes helpful for removing ivy from trees; we will show you how. We do ask that you bring your own water. If you have never done this type of work before we will glady show you what to do. There is a desperate need for a network of native plants in urban areas. Your yard can be and should become part of that network. Please join us for this 90-minute environmental education documentary focused on showing how and why native plants are critical to the survival and vitality of local ecosystems. This is a great opportunity to learn more. The message: All of us have the power to support habitat for wildlife and bring natural beauty to our own patch of the earth, no matter how small. The goal: Build a new army of habitat heroes right here in our hometown! Doors open at 6:00 p.m. The film begins promptly at 6:30 p.m.
Children are welcome to attend, but child care is not provided. Parking is availble behind the school and on nearby streets. Registration is not required, but we would like to know how many people to expect. An E-mail reminder will be sent to those who register. 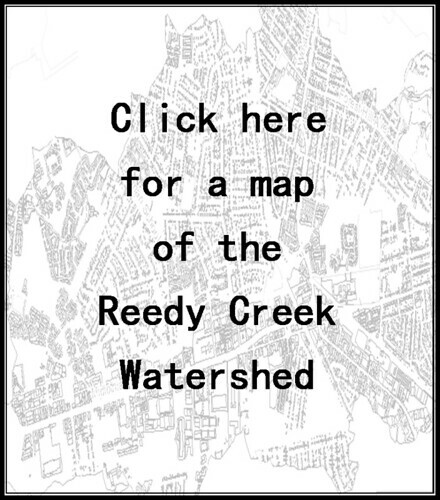 This showing is made possible by a generous contribution from Robin Ruth, a founding member of Reedy Creek Coalition. Robin cares deeply for the natural world from the soil teeming with life to the tops of the trees and every living thing between. 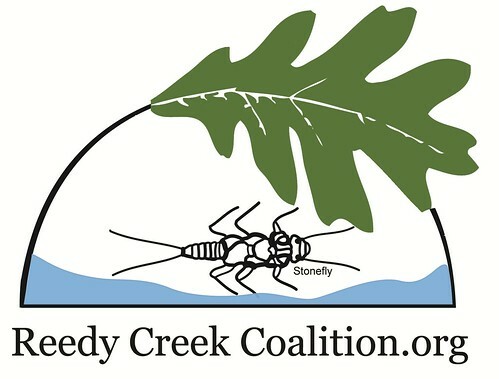 Reedy Creek Coalition plans to plant a small area of park property along Covington Road with native trees and shrubs; this will be done in sections over the next 2-3 years. Over time these new plants should transform the area from a wildlife “unfriendly” site to one that provides food and shelter. Other benefits are cleaner water and a cooler environment. Our efforts will start with invasive removal and we hope that you will join us. Sunday, October 21 from 1 – 3 p.m. or as long as you can stay. Bring gloves and hand clippers. A small saw may be useful if you have one. If you have never done this type of work before we will glady help you identify the plants that need to be removed. There are some trees along the edge of the property, but more will be better. Please join us for this 90-minute environmental education documentary focused on showing how and why native plants are critical to the survival and vitality of local ecosystems. Support LIFE: Help create a habitat network right here in our neighborhood. Have you ever really thought about where the water goes when it rains? In urban areas much of that water is intentionally directed to a storm drain and most of that ends up in a stream. 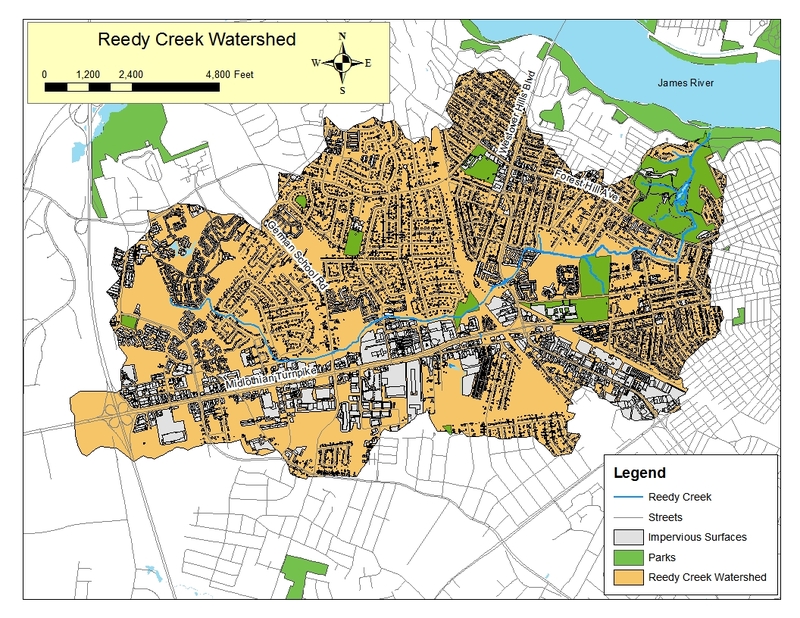 The primary intent -to reduce flooding- is accomplished most of the time, but this storm water transports pollutants, causes stream bank erosion, and makes conditions intolerable for most aquatic life. Many consider it the root cause of all watershed evils! This system of storm drains, concrete channels and the like seemed a good idea at the time, but as development and urban sprawl increased, so did the storm water runoff and the damage it does. We need to re-think how we manage this water. The answer, strange as it may seem, is to keep this water where it falls and let it soak into the ground. We don’t want your basement to flood, but please do consider what you could do to keep some of your rain on your property. Mother nature protects watersheds and water quality with plants. Our best and easiest option is to mimic nature. Trees are better than anything man every invented when it comes protecting and improving water quality and they do this in several ways. Raindrops falling directly from the sky hit the ground with enough impact to compact soil over time making it more difficult for water to soak in. Raindrops that encounter leaves or branches first don’t hit the ground so hard. Leaves, branches and bark catch and hold some rain. Some evaporates and some falls to the ground later, both reduce the chance of run off. Roots create a route for water to more easily soak into the soil. The network of roots helps hold the soil, reducing erosion. Leaf litter under the tree is another place to capture some water. It will also create a soil high in organic matter that acts like a sponge to soak up and hold water. Perhaps you already have some large trees. Mimic nature again and make this watershed friendly landscape even better by adding layers. Small, understory trees and shrubs will capture even more water. If possible, allow some of your lawn to become a layered landscape too and add some lovely perennials. 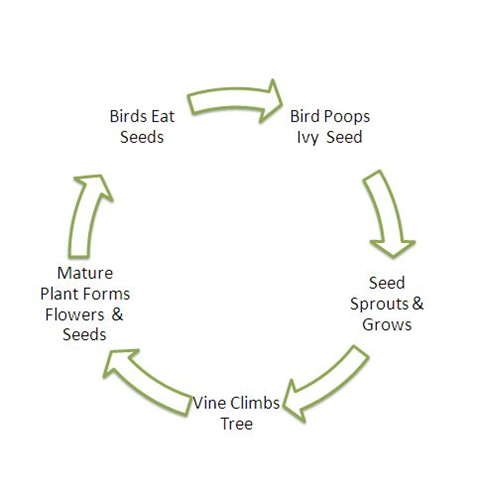 Please use native plant species and keep your leaf litter. We should all take responsibility for the rain that falls on our property. One well landscaped property will make a small impact, but collectively we could make a big difference. Join your neighbors to create the largest protected area you can. This will also provide habitat, food and cover for birds and other critters who are now quite dependent on us to provide for them.